Acting Morris County Prosecutor Fredric M. Knapp announces that his office will be participating in the upcoming Fugitive Safe Surrender New Jersey (FSSNJ) program to be held Wednesday, November 6 through Saturday, November 9, 2013 at Evangelismos Greek Orthodox Church, 661 Montgomery Street, Jersey City, New Jersey. Pursuant to the program, fugitives hiding from the law in New Jersey will have the opportunity to surrender safely at the Jersey City church, take responsibility for their offenses, and seek favorable consideration from the court, through Fugitive Safe Surrender-North Jersey. Fugitive Safe Surrender is not an amnesty program. However, those who participate can seek favorable consideration from the court. This typically results in significantly reduced fines and/or probation requirements instead of incarceration. The vast majority of participants – typically, more than 99 percent of those who surrender – will be able to return home the same day. Based on Fugitive Safe Surrender’s past success in New Jersey, an estimated 3,000 to 4,000 wanted persons are expected to peacefully turn themselves in during the four-day window of opportunity. A total of 13,276 individuals surrendered during New Jersey’s four previous Fugitive Safe Surrender events in Camden, Newark, Somerset/New Brunswick, and Atlantic City. Fugitive Safe Surrender-North Jersey is open only to U.S. citizens and legal residents. Other individuals are not eligible to participate. Individuals may refer to the link below regarding frequently asked questions concerning the program. There is also a link for a fact sheet concerning the program. Questions can be directed to the Morris County Prosecutor’s Office Fugitive Unit at (973) 285-6300 or the Fugitive Safe Surrender-North Jersey Hotline at 855-FSS-NJ12 (855-377-6512) or [email protected]. The program can also be followed the program on Facebook at facebook.com/fssnj and Twitter at twitter.com/fssnj. 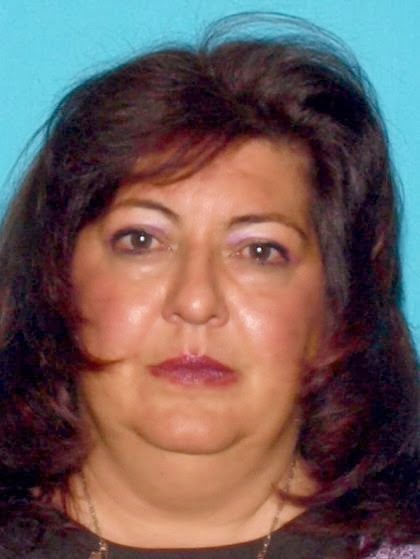 Acting Morris County Prosecutor Fredric M. Knapp and East Hanover Police Chief Stanley J. Hansen are reporting that the Morris County Prosecutor’s Office and the East Hanover Police Department are currently involved with other law enforcement agencies in an investigation concerning the death of Kim DeOliveira, 53 years old, of East Hanover, New Jersey. Ms. DeOliveira’s body was discovered on October 28, 2013. She died as a result of fire related injuries. The fire occurred at a backyard structure of a home on Phyldan Road in East Hanover. Autopsy results are pending. The on-going investigation regarding the circumstances of the fire and the death is being conducted by the Major Crimes Unit of the Morris County Prosecutor’s Office with the East Hanover Police Department, the Morris County Sheriff’s Office Criminal Investigation Section, and the Morris County Medical Examiner’s Office. Please contact the East Hanover Police Department at 973-887-0432 or the Morris County Prosecutor’s Office Major Crimes Unit at 973-285-6200 if you have any relevant information. Acting Morris County Prosecutor Fredric M. Knapp, Morris County Chief of Investigations John R. Speirs, Morris Plains Police Chief Scott Thompson, Randolph Township Police Chief David Stokoe and Mountain Lakes Police Chief Shawn Bennett announce that Operation Take-Back, which was jointly held by their agencies on Saturday, October 26, 2013, was a huge success. Three sites were used for the operation. In Morris Plains, the Stop and Shop Supermarket at the intersection of Route 10 and Littleton Road, was a collection site. The Randolph Municipal Building was a second collection site. The Mountain Lakes Fire Department was the third collection site. The three sites received a combined total of 229 pounds of prescription and over the counter medications. Operation Take-Back is a national initiative that encourages individuals to turn in unused or expired prescriptions, controlled substances and over-the-counter medications for safe disposal. The medication collection allows citizens to give their unused medications to law enforcement officials without releasing personal information. The medications are disposed of in an environmentally safe manner. Operation Take-Back is a collaborative effort between the New Jersey Office of the Attorney General, New Jersey Division of the Drug Enforcement Administration, New Jersey Prevention Network, New Jersey Chiefs’ of Police Association, Morris Plains Police Department, Randolph Police Department, Stop and Shop Supermarket, Mountain Lakes Police Department and the Morris County Prosecutor’s Office. This initiative also includes numerous other drop off sites nationwide and also throughout Morris County. To find out if your town is participating in Operation Take-Back, visit www.dea.gov or contact your local Police Department. Acting Prosecutor Knapp, Chief Speirs, Chief Thompson, Chief Stokoe and Chief Bennett thank all members from their respective agencies who took part in Saturday’s operation.